4-Margaret Stewart Murray was born about 1819 in Edinburgh, Midlothian, Scotland and died on 15 Jul 1907 in Toorak, Victoria at age 88. Margaret married Dr. David Edmund Stodart, son of Dr. Robert Stodart and Maria, on 13 Oct 1841 in St Andrews Church, Hobart. David was born in 1816, was christened on 4 Dec 1816 in Westminster St Martin in the Fields, Middlesex, England, died on 15 Dec 1890 in Geelong, Victoria at age 74, and was buried in Western Cemetery, Geelong, Victoria. Maria Jane Stodart was born in 1842 and died on 14 Jun 1890 in Geelong, Victoria at age 48. Maria married Robert Hamilton Calvert J. P, son of Robert Rogerson Calvert and Agnes Smith Frew. Robert was born on 1 Oct 1836 in Manchester, Lancashire, England and died on 10 Mar 1915 in 20 Victoria Terrace, Geelong, Victoria at age 78. They had nine children: Robert Edmunds, Russell Pirron, Claude Grenville, Stanley Bell, Douglas Stuart, Edith May, Laurence Neville, Jean Murray and Aileen. 6-Robert Edmunds Calvert was born on 15 Oct 1867 in 'Pirron Yallock Station', via Colac, Victoria and died in 1870 in Geelong, Victoria at age 3. 6-Russell Pirron Calvert was born on 16 Mar 1869 in Pirron Yallock Station, Victoria and died on 1 Oct 1945 in Brighton, Victoria at age 76. Russell was a farmer, of "Seaview", Gippsland, Victoria. Russell married Lillian Maude Hayes, daughter of Edmund Hayes and Sophie Lovell. Lillian was born in Winchelsea, Victoria. They had nine children: Mary Eleanor, Annie May, Maria Jane, Edmund Robert, William Neville, David Lovell, Claude Archibald, Thomas Talbot and Margaret Lois. 7-Mary Eleanor Calvert. Mary married Clifford Noel Appleford. They had one daughter: Margaret. 7-Annie May Calvert. Annie married Stanley Leo Wittman on 29 Jun 1935 in St Marys Church of England, Saint Kilda, Victoria. They had two children: Michael and F..
8-Michael Wittman was born in 1937. 7-Edmund Robert Calvert was born on 21 Feb 1897 in Nar-Nar-Goon, Gippsland, Victoria and died on 15 Jul 1966 in Melbourne, Victoria at age 69. Edmund was a member of the 8th. Brigade of the Australian Imperial Forces in Egypt between 1915 and 1917. Edmund married Rose Agnes Hutton, daughter of Alfred Francis Hutton and Unknown. They had two children: James Lewis and Jessie Leonie. 8-Jessie Leonie Calvert. Jessie married John Hanson. 7-William Neville Calvert was born on 11 Dec 1899 in Nar-Nar-Goon, Gippsland, Victoria and died on 13 Apr 1975 in Dandenong, Victoria at age 75. William married Florence Mabel Cross. Florence was born in 1905 and died in 1976 in Mulgrave, Victoria at age 71. They had four children: Eric George, William Harold, Edwin Ernest and Shirley. 8-Eric George Calvert was born in Jun 1930 and died on 23 Nov 1930 in Warragul, Victoria. 8-William Harold Calvert was born on 29 Nov 1931. William married June Eileen. They had eight children: Phillip, James, Christine, Russell, Catherine, Carol, Susan and Tina. 8-Edwin Ernest Calvert was born on 16 Apr 1936. Edwin married Jean Lothian Blacklaw. They had two children: Julie Anne and Karen. 9-Julie Anne Calvert was born on 30 Apr 1968 in Melbourne, Victoria. 9-Karen Calvert was born in 1196 in Melbourne, Victoria. Edwin next married Lynette Evelyn Watt in 1962. They had six children: Tracey, Kim, Kerrie, Meagan, Lee Anne and Dean. 9-Lee Anne Calvert was born on 28 Nov 1963. 9-Dean Calvert was born on 13 Feb 1967. 8-Shirley Calvert. Shirley married Geoffrey Watt. Geoffrey was born in King Island. 7-David Lovell Calvert was born on 11 Nov 1901 in Warragul, Victoria and died on 31 Aug 1972 in Mount Martha, Victoria at age 70. David married Beryl Ovens, daughter of Thomas Ovens and Unknown. They had one son: Owen Stanley David. 8-Owen Stanley David Calvert was born about 1937. Owen married Jean Lothian Blacklaw. They had two children: Karen and Julie Anne. 9-Karen Calvert was born in Melbourne, Victoria. 7-Claude Archibald Calvert was born on 18 Apr 1900 in Drouin, Victoria and died in Glen Waverley, Victoria. Claude married Joyce. They had three children: Douglas, Jeffrey Claude and Murray. 8-Douglas Calvert. Douglas married Judith Mary Evans in 1969. Douglas next married Lynette Parker. They had one son: Shane Douglas.9-Shane Douglas Calvert was born on 3 Apr 1976. 8-Jeffrey Claude Calvert. Jeffrey married Judith Mary Evans. They had one son: (No Given Name). 9-Calvert was born on 16 Jul 1976 in Melbourne, Victoria. 7-Thomas Talbot Calvert was born on 20 May 1913 in Drouin, Victoria. Thomas married Margaret Clare. They had one son: Garry Thomas. 8-Garry Thomas Calvert was born in Melbourne, Victoria. Garry married Sandra Shaw. They had two children: Peter Thomas and Stuart William. 9-Peter Thomas Calvert was born in 1967. 9-Stuart William Calvert was born on 25 Dec 1969. 7-Margaret Lois Calvert was born in 1895 in Nar-Nar-Goon, Gippsland, Victoria and died in 1957 in Warrnambool, Victoria at age 62. Margaret married Frederick Stanislaus Sutton. Frederick was born in Oct 1879 in Sussex, England and died in 1953 in Warragul, Victoria at age 74. They had one son: Edmund Frederick. 8-Edmund Frederick Sutton was born in Warragul, Victoria. 6-Claude Grenville Calvert was born on 16 Oct 1870 in Geelong, Victoria and died on 21 Oct 1910 in Queensland at age 40. 6-Stanley Bell Calvert was born on 27 Jun 1872 in Pirron Yallock Station, via Colac, Victoria and died on 22 Sep 1939 in Melbourne, Victoria at age 67. Stanley married Eleanor Edwards Granville. They had no children. 6-Douglas Stuart Calvert was born on 24 Feb 1874 in Geelong, Victoria and died in Feb 1959 in Krogle, New South Wales at age 85. Douglas died unmarried and without children. 6-Edith May Calvert was born in 1875 in Geelong, Victoria and died on 22 Apr 1907 in Armadale, Victoria at age 32. Edith married Robert Alexander Dunlop Hood MBE, son of Robert Hood and Jane Paton. Robert was born on 8 Aug 1863. They had one daughter: Margaret Anne. 7-Margaret Anne Hood was born on 2 Jul 1915, was christened on 13 Sep 1977 in Mortlake, Victoria, and died on 13 Sep 1977 in Mortlake, Victoria at age 62. Margaret married her third cousin, Neil Roderick Calvert, son of Neil Lewis Calvert and Una Isabella Urquhart, on 12 Jun 1940 in Mortlake, Victoria. Neil was born on 14 Apr 1917 in 'Boonerah' via Hexham, Victoria, died in Feb 1974 in 'Hopkins Hill' via Terang, Victoria at age 56, and was buried in Feb 1974 in Hexam Cemetery, Victoria. They had three children: Alexander, Donald and Helen. 6-Laurence Neville Calvert was born on 2 Jan 1877 in Geelong, Victoria and died in 1895 in Long Beach, Queensland at age 18. 6-Jean Murray Calvert was born in 1878 in Geelong, Victoria and died in 1954 at age 76. Jean married Reverend John Farquar MacRae on 22 Jun 1903. John was born in 1883 in Paraparp, Victoria and died in 1914 at age 31. They had six children: John Farquar, Iain, Finlay, Alison Joan, Stanley Calvert and Donald Murray. 7-John Farquar MacRae died in East Melbourne, Victoria. 7-Iain MacRae was born in 1905. Iain married Beryl Couchman in 1937. Beryl was born in 1911. They had three children: John, Colin and Finlay. 8-John MacRae was born in 1938. 8-Colin MacRae was born in 1946. 8-Finlay MacRae was born in 1949. 7-Finlay MacRae was born in 1908. Finlay married Helen Spiers. They had two children: Donald and Douglas. 8-Donald MacRae was born in 1943. 8-Douglas MacRae was born in 1947. 7-Alison Joan MacRae was born in 1910. Alison married John Bellair in 1938. John was born in 1909. They had one son: Sarah. 8-Sarah Bellair was born in 1949. 7-Stanley Calvert MacRae was born in 1912 in Armadale, Victoria. 7-Donald Murray MacRae was born in 1913. Donald married Anne Burley in 1952. Anne was born in 1920. They had four children: Susan, Ian, Alasdair and Fiona. 8-Susan MacRae was born in 1953. 8-Ian MacRae was born in 1955. 8-Alasdair MacRae was born in 1957. 8-Fiona MacRae was born in 1958. 6-Aileen Calvert was born in 1880 in Geelong, Victoria and died on 8 May 1936 in Camperdown, Victoria at age 56. Aileen married her second cousin, Colin Pringle Robertson, son of George Pringle Robertson and Anne Murray. Colin was born on 6 Apr 1879 in Colac, Victoria and died in 1955 at age 76. They had three children: Jean Margaret, Elizabeth Colin and Patricia Colin. 7-Elizabeth Colin Robertson was born in 1911 in Melbourne, Victoria and died in Colac, Victoria. Elizabeth married William Roderick Lillie, son of William Edgeworth Lillie and Unknown, in 1933. William was born in 1909. They had two children: Robert Edgeworth and Peter Edgeworth. 8-Robert Edgeworth Lillie was born on 27 Jul 1934. 8-Peter Edgeworth Lillie was born in 1937. Peter married Patricia Ann Nicholson in 1965. Patricia was born in 1944. 7-Patricia Colin Robertson was born in 1916 in Colac, Victoria and died on 28 Apr 1966 in Melbourne, Victoria at age 50. Patricia ddied unmarried and without children. George Alston Stodart was born in 1844 in Colac, Victoria and died on 17 Nov 1863 in Geelong, Victoria at age 19. David Edmund Stodart was born in 1846 in Geelong, Victoria and died in 1916 in Armadale, Victoria at age 70. David married Flora Matilda Wilkie, daughter of Charles Wilkie and Clara Buckland, on 8 May 1878 in Colac, Victoria. Flora was born on 26 May 1850 and died in 1937 in Malvern, Victoria at age 87. They had seven children: Unknown, David Edmund, Frank Lindsay, Charles Morton, George Wilkie, Mary Louise and Clara Margaret. 6-Unknown Stodart was born in 1880 in Geelong, Victoria and died in 1880 in Geelong, Victoria. 6-David Edmund Stodart was born in 1882 in Coburg, Victoria. 6-Frank Lindsay Stodart was born on 10 May 1884 in Coburg, Victoria and died in 1994 in South Yarra, Melbourne, Victoria at age 110. 6-Charles Morton Stodart was born in 1887 in Coburg, Victoria and died in 1928 in South Melbourne, Victoria at age 41. Charles married Sylvia Dory O'Hara in 1919 in Victoria. They had one daughter: Nina Felicity. 7-Nina Felicity Stodart was born in 1920 in South Melbourne, Victoria. 6-George Wilkie Stodart was born in 1889 in Skipton, Victoria and died in 1976 in Ballarat, Victoria at age 87. 6-Mary Louise Stodart was born in 1891 in Skipton, Victoria. 6-Clara Margaret Stodart was born in 1892 in Skipton, Victoria and died in 1964 in Geelong, Victoria at age 72. Clara died unmarried and without children. Montague Murray Stodart was born in 1849 in Colac, Victoria and died on 2 Jul 1925 in Macarthur, Victoria at age 76. Margaret Stewart Stodart was born in 1849 in Colac, Victoria, died on 4 Nov 1963 in Colac, Victoria at age 114, and was buried in Colac General Cemetery, Colac, Victoria. Margaret married James Robertson, son of William Robertson and Margaret Whyte, in 1870 in Victoria. James was born on 7 Jul 1846 in 'Melrose', Hampden Road, Hobart Town and died on 26 Jul 1890 in Bournemouth, Hampshire, England at age 44. They had seven children: Ruby, James Ernest, Edmond Stuart, Lillias Elaine, Hugh Clive, Flora and Lena. 6-Ruby Robertson was born in 1871 in "Glen Avie" via Colac, Victoria and died on 29 Oct 1892 in "Glen Avie" via Colac, Victoria at age 21. 6-James Ernest Robertson was born on 21 Feb 1873 in "Corangamoorah" via Colac, Victoria and died in 1954 in Victoria at age 81. General Notes: Upon the death of his father, James Robertson, he purchased a portion of 'Glen Alvie', near Colac, Victoria, which he renamed 'Riccarton'. He sold 'Riccarton' in 1914.In partnership with his brother, Hugh Clive Robertson, and with others, he acquired 'Yacamunda Cattle Station', in Queensland. For some years from and after 1906, he was a member of the Council of the Royal Agricultural Society of Victoria.He was also, for some years, a member of the Colac Shire Council, Victoria. James married Amy Irving Winter-Irving, daughter of The Honourable Willaim Irving Winter-Irving MLC and Frances Taylor, in 1905. Amy was born in 1876 and died in 1946 at age 70. They had five children: Kath Irving, Pauline Amelia Irving, Margaret, Laura Annie and James. 7-Kath Irving Robertson was born in 1906 in Armadale, Victoria. 7-Pauline Amelia Irving Robertson was born in 1907 in Armadale, Victoria. Pauline married William Jamieson in 1930. They had two children: William Richard and Carol. 8-William Richard Jamieson was born in 1932. William married Jane Hennessy. They had two children: Andrew and David. 9-Andrew Jamieson was born in 1963. 9-David Jamieson was born in 1965. 8-Carol Jamieson was born in 1935. Carol married Michael Handcock in 1959. They had one son: John. 7-Margaret Robertson was born in 1908 and died in 1936 at age 28. Margaret married Russell Colsham. They had one daughter: Josephine. 8-Josephine Colsham was born in 1932. Josephine married John Wreford. They had three children: Simon, James and Susan. 9-Simon Wreford was born in 1956. 9-James Wreford was born in 1958. 9-Susan Wreford was born in 1960. 7-Laura Annie Robertson was born in 1912 in Armadale, Victoria. Laura married James Hall in 1935. They had three children: James Robert, Antony William and Hilary. 8-James Robert Hall was born in 1936. James married Mary Carr in 1959. They had two children: Andrew Robert and Rosemary Jean. 9-Andrew Robert Hall was born in 1960. 9-Rosemary Jean Hall was born in 1962. 8-Antony William Hall was born in 1938. Antony married Jennifer Scott in 1961. They had two children: Geoffrey William and Richard Antony. 9-Geoffrey William Hall was born in 1962. 9-Richard Antony Hall was born in 1965. 7-James Robertson was born in 1915 in Armadale, Victoria. James married Joyce Skinner. They had three children: James David, Peter Clive and Gregory Stewart. 8-James David Robertson was born in 1948. 8-Peter Clive Robertson was born in 1950. 8-Gregory Stewart Robertson was born in 1952. 6-Edmond Stuart Robertson was born in 1875 in Colac, Victoria. 6-Hugh Clive Robertson was born on 31 May 1879 in "Glen Avie" via Colac, Victoria and died in 1954 at age 75. Hugh was a pastoralist and grazier. He served in South Africa in the Boer War. In 1916 he enlisted in the Australian Imperial Forces and joined the 30th. Battery, 8th. Brigade. He was awarded the Military Medal. He owned 'Strathmere Estate', near Colac, Victoria, and also 'St. Leonards', near Tallangatta, Victoria. In 1912 he acquired an interest in 'Yacamunda Cattle Station', in Queensland. In 1926, in partnership with his brother, James Ernest Robertson, he purchased 'Boyd Station', near Forbes, New South Wales. Hugh married Dora Sophie Appleton, daughter of Cornelius Appleton and Louisa Steed, in 1905 in Victoria. Dora died in Victoria. They had four children: Rhoda Stuart, Clive James, Jessie and Alister Stuart. 7-Rhoda Stuart Robertson. Rhoda married Lockhart Little. Lockhart was born in 1906 in Geelong, Victoria and died in Seymour, Victoria. They had one son: Ronald Malcolm Clive. 8-Ronald Malcolm Clive Little was born on 15 Apr 1934. 7-Clive James Robertson was born on 13 Aug 1909 in Geelong, Victoria. Clive James Robertson was a champion rifle shot. In 1933 he was a member of the Mackay Expedition to Central Australia, and flew his own aeroplane as a relief aircraft for the Expedition. 7-Jessie Robertson was born in 1910 in Cororooke, Colac, Victoria. 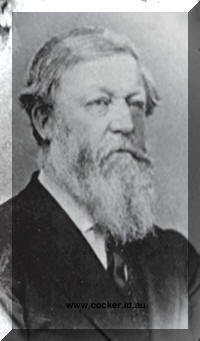 Jessie married Andrew George Manifold. Andrew died in Melbourne, Victoria. They had two children: Andrew Edward and Clive Robertson. 8-Andrew Edward Manifold was born on 21 Jun 1936. 8-Clive Robertson Manifold was born on 3 Jun 1938. 7-Alister Stuart Robertson was born on 13 May 1921 in Melbourne, Victoria. 6-Flora Robertson was born in 1880 in Colac, Victoria and died in 1923 in Victoria at age 43. Flora married Oliver Winter-Irving, son of The Honourable Willaim Irving Winter-Irving MLC and Frances Taylor, on 12 Jan 1910 in St. Andrew's Church, Alvie, Colac, Victoria. Oliver was born in 1876 and died in 1931 in Melbourne, Victoria at age 55. They had five children: William Oliver, Helen, Clive Irving, Flora Lillias and Mildred Irving. 7-William Oliver Winter-Irving was born on 15 Aug 1912. William married Rosemary Field. Rosemary was born in 1922. They had three children: Belinda, Jennifer and William. 8-Belinda Winter-Irving was born in 1947. 8-Jennifer Winter-Irving was born in 1949. Jennifer married Loris Carr. 8-William Winter-Irving was born in 1953. 7-Helen Winter-Irving was born in 1914 in Armadale, Victoria and died in Melbourne, Victoria. 7-Clive Irving Winter-Irving was born on 13 Jun 1917 in London, England. Clive married Patricia Kimpton. They had three children: Odete, Leah and John. 8-Odete Winter-Irving was born in 1950. 8-Leah Winter-Irving was born in 1952. 8-John Winter-Irving was born in 1954. 7-Flora Lillias Winter-Irving was born in 1918. 7-Mildred Irving Winter-Irving was born in 1923. Mildred married John Carpenter. They had two children: Jane and Rosalind. 8-Jane Carpenter was born in 1955. 8-Rosalind Carpenter was born in 1955. 6-Lena Robertson was born on 29 Jun 1881 in "Glen Avie" via Colac, Victoria and died on 8 Jun 1970 in Wilaura, Victoria at age 88. Lena married Cecil Edgar Parsons on 8 Jul 1909 in Presbyterian Church, Toorak, Victoria. Cecil was born in 1871 and died on 2 Mar 1926 at age 55. They had seven children: Janet Margaret, Nola Hilare, Florence, Peter James, Katherine Lena, Cecil Edgar Robertson and Flora Mary. 7-Janet Margaret Parsons was born in 1910 in Armadale, Victoria. Janet married Rupert Edwy Wettenhall, son of Victor Edwin Wettenhall and Dora Eleanor Postlethwaite, on 29 Apr 1939 in South Yarra, Melbourne, Victoria. Rupert was born on 10 Feb 1900 in Ulverstone, Tasmania and died on 30 Jun 1962 at age 62. 7-Nola Hilare Parsons was born in 1912 in East Melbourne, Victoria and died on 28 Mar 1934 at age 22. Nola married Henry Laing. They had one son: Andrew Carstairs. 8-Andrew Carstairs Laing was born on 17 Mar 1934 in Echuca, Victoria. Andrew married Naira Wallace. They had two children: Henry Wallace and James. 9-Henry Wallace Laing was born in 1962. 7-Florence Parsons was born on 5 Oct 1913 in Colac, Victoria. Florence married Norman Charles Ayrey Campbell, daughter of Clive Nankivell Campbell and Francis Louise Ayrey, in 1947. They had two children: Janet and Angela. 8-Janet Parsons was born in 1950. 8-Angela Parsons was born in 1955. 7-Peter James Parsons was born on 5 Oct 1913 in Malvern, Victoria. Peter married Jeanette Randell in 1953. Jeanette was born in 1926. They had three children: Davina, Andrew and James. 8-Davina Parsons was born in 1954. 8-Andrew Parsons was born in 1956. 8-James Parsons was born in 1962. 7-Katherine Lena Parsons was born in 1915. Katherine married Charles Dennis. Charles was born in 1911. They had five children: Hilary, Diana, James, Susan and Wendy. 8-Hilary Dennis was born in 1944. 8-Diana Dennis was born in 1946. 8-James Dennis was born in 1949. 8-Susan Dennis was born in 1951. 8-Wendy Dennis was born in 1957. 7-Cecil Edgar Robertson Parsons was born on 12 Sep 1918 in Colac, Victoria. Cecil married Barbara Kane. Barbara was born in 1921. They had three children: William, David and Jane. 8-William Parsons was born in 1949. 8-David Parsons was born in 1951. 8-Jane Parsons was born in 1953. Lillias Cross Stodart was born in 1851, died on 18 Dec 1872 in Geelong, Victoria at age 21, and was buried in Western Cemetery, Geelong, Victoria. Edith Anne Stodart was born in 1854 in Colac, Victoria and died in 1937 in Toorak, Victoria at age 83. Edith married Robert Norman Strachan, son of The Honourable James Ford Strachan MLC (Victoria) and Lillias Cross Murray, in 1891 in Geelong, Victoria. Robert was born on 24 Apr 1853 in Geelong, Victoria and died on 19 Aug 1927 in Armadale, Victoria at age 74. They had one son: Lancelot Norman. 7-Gordon Murray Strachan was born in 1920. He served in World War 2 and died in 1945 as a prisoner of war at age 25. Leslie Bradfute Stodart was born in 1859 in "Corunnun" via Colac, Victoria and died in 1917 in Macarthur, Victoria at age 58. Leslie married Mary Shaw. John Calvert Stodart was born in 1862 in Kilmore, Victoria, died on 5 May 1863 in St. Kilda, Victoria at age 1, and was buried in Western Cemetery, Geelong, Victoria.